Forget about those laborious task of weeding and turn it into this effortless one handed job. 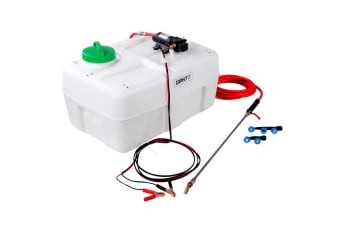 This weed sprayer is driven by a self priming pump that maintains a massive 80psi, delivers extensive coverage of spraying and shuts down on release of the trigger. Connect straight up to any 12V battery, this low profile weed sprayer is suitable to be mount on anywhere and start the job. 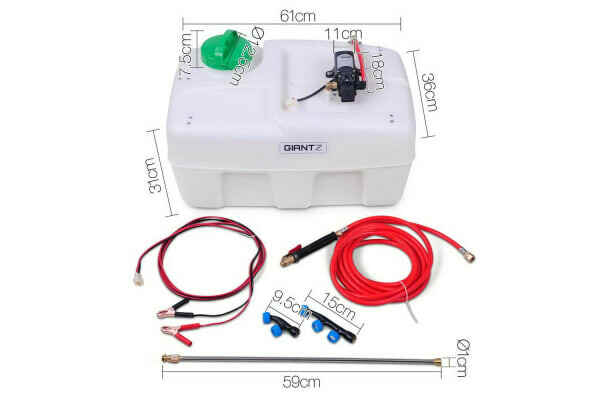 Including an extra long 6m hose and 3m battery lead, to let you reach just about everywhere you want to spray. Run with a DC pump that produce a massive flow of 1.07GPM (4L/min), it ensure you get the job done quickly and efficiently. 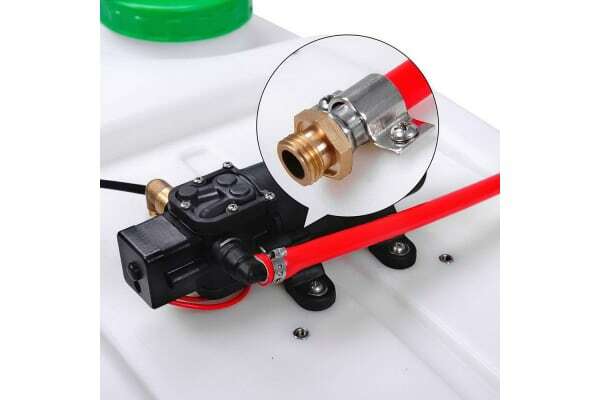 Bonus 3 nozzles choice that covers more spraying of herbicides, pesticides and fertilising plants. Throw away all those pump bottle sprayers and spray equipment!